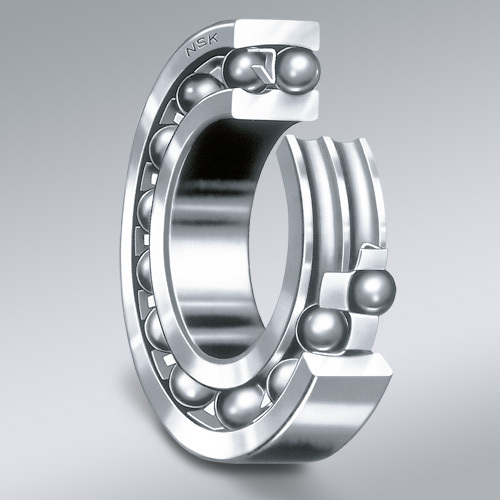 This type of ball bearing is recommended when alignment of the shaft and housing is difficult and the shaft may flex. The outer ring has a spherical raceway and its center of curvature coincides with that of the bearing; therefore, the axis of the inner ring, balls and cage can deflect to some extent around the bearing center. Pressed steel cages are usually used. Since the contact angle is small, the axial load capacity is low. The permissible dynamic misalignment is approximately 0.07 to 0.12 radian (4 to 7 degrees) under normal loads.